The core curriculum and electives at Tuck are designed to be rigorous and immersive. When students step into a Tuck classroom, they expect to be challenged. 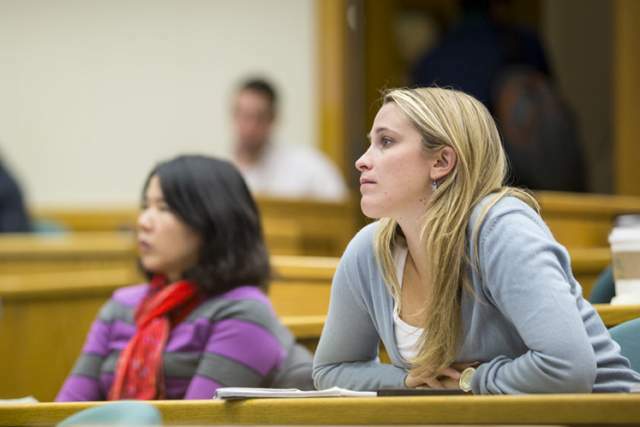 Taught by Tuck’s world-renowned faculty, the core curriculum and electives at Tuck are designed to be rigorous and immersive so that students leave campus—whether for their internship or their career—with the right combination of confidence, wisdom, and skills needed to hit the ground running. 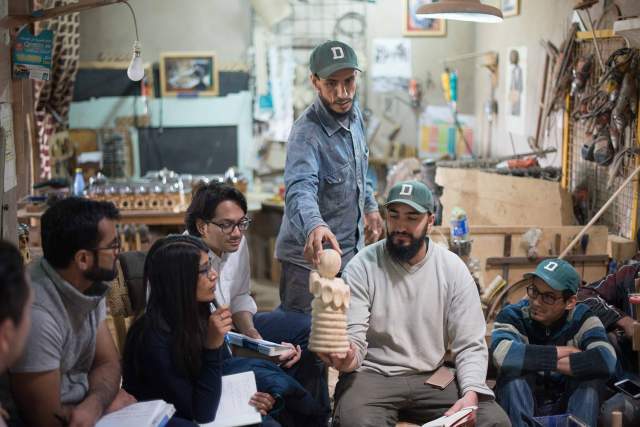 Recently, we asked a group of first- and second-year students about the courses that surprised them, were the most impactful, or were just downright helpful in building a strong business toolkit. Here’s what they had to say. Some classes at Tuck teach you skills; others teach you how to think. The Arrhythmia of Finance (affectionately known as ARFIN) is in the latter camp. While the title of the class makes it sound finance-y, the class is actually about how to make better decisions in your personal, professional, and financial life. We explored the psychology and biology of decision making, worked through biases that cloud judgment, and dove deep on how to unpack risk. We questioned why we thought what we thought, engaged each other in lively discussions, and practiced engaged decision making. Professor Peter Fisher made each day challenging and engaging—I don’t think I’ve had another class at Tuck that made my brain hurt in the same (but awesome) way each session. Finally, one of the most meaningful things to me about the course was realizing that Professor Fisher’s objective was “to teach young people something useful.” He definitely did that and I know I’ll be using what I learned from ARFIN for years to come. Professor Thorburn taught me the power of high standards and a supportive learning environment. In her class, Structuring M&A, we were required to integrate and synthesize complex quantitative and qualitative analysis. Her expertise was inspiring, and she provided access to that expertise whenever we needed it. She pushed us to look deeper at the facts, and find insights about the deal that weren’t immediately obvious. As the leader of our classroom, she believed we could crack even the most complex deal structures, and her congenial support enabled us to achieve those high expectations. While I learned an immense amount about the finance and deal processes, it was her leadership that was the true, long lasting lesson. This course focuses on learning how to strategically think through a company’s operations, specifically different levers a business leader can pull to affect change in a company’s operations. We look at different strategic questions a COO may be wondering: Where to locate? How aggregated should the supply chain be? When should you outsource? The course drills down into asset strategy, network strategy, and operating strategy, and you walk away not necessarily knowing all of the answers, but knowing the right questions to ask. I was a little nervous about taking Statistics, since I knew we would be using a fair amount of mathematical equations and software tools, like SPSS. Professor Neslin made me feel comfortable and excited every morning because he added a fun flavor to the learning experience. By bringing in hilarious real-world examples, Neslin showed me how essential and applicable statistical tests are to my future career. He taught me to love SPSS, and I am so excited to apply this knowledge to a future role in marketing/brand management. Professor Joseph Hall had a profound impact on how I look back at my entire pre-MBA career in food manufacturing. I had Microeconomics before in undergrad, but it never reached this level of business application. We got to discover how exactly long term price is formed in competitive manufacturing markets and calculated it with surprising precision. We were then able to figure out where we fit in the supply curve and what would happen to competitors with different costs. Consequently, we could position ourselves to take advantage of the situation. I wish I had a time machine to go back five or ten years and pick different options when I was building out a factory in New York. Now looking forward, this has great application in a variety of businesses I may work in post-MBA. It’s just an incredible toolset. 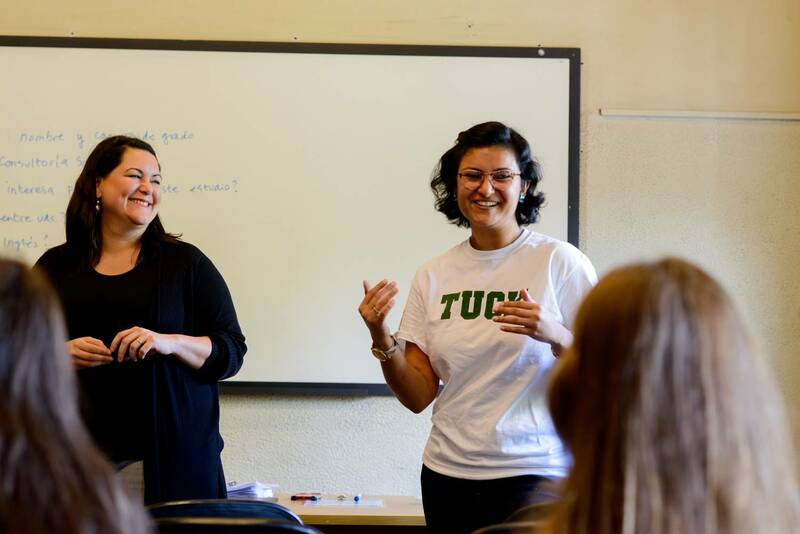 Tuck has magnificent economics programs, starting from Core ManEc (Managerial Economics), continued with GEM (General Economics for Managers), and culminating with some exciting electives such as one of my favorites—CACIE (Countries and Companies in the International Economy). ManEc and GEM have been nothing less than eye-opening. Professor Hall and Dean Slaughter guided us smoothly through complicated concepts of micro and macroeconomics. Core courses ensured that no matter how scarce your background, with sufficient effort you emerged confident to interpret basic economic concepts in a single firm, as well as more global concepts in the economy at large. CACIE on the other hand was an experience that made me feel unified with my classmates. This course was a playground for applying the concepts we had learned in the core for interpretation of real world situations. While extremely humbling, the experience opened my eyes to seeing a lot of what’s going on in the world in a new, more educated light. Entrepreneurship Innovation Strategy is a cannot-miss course that all business leaders should, and must, take. Professor Adner’s “Wide Lens” focus on the relationship between firms, customers, and ecosystems explores how and why a segment of innovators succeeds or fails. As an aspiring entrepreneur, his course expanded my perspectives on how I should learn to co-innovate within the ecosystem and ensure there is an overall surplus with the addition of my product/service. Professor Adner flawlessly weds his academic findings with in-depth case examples. Operations Management may sound less exciting than Strategy or Marketing, but it’s definitely my favorite class, with many in-class simulations that tied back to operations problems in real business situations. I remember profoundly that there was one simulation where a marketing team boosted sales via promotion, leading to an inventory crisis for the sales operations team. This is exactly what happened during my summer internship with an ecommerce in New York. The marketing team piloted a new campaign and successfully grew the ecommerce user base by 500 percent. However, the operations team wasn’t prepared for the huge growth, and within a few days, many items went out of stock and costumers began complaining. Luckily, with what I learned in Operations, I was able to contribute and lead a small team to quickly solve the inventory crisis for the company. One of the best courses I took during my exchange experience at Tuck was The CEO Experience with former New Hampshire Governor John Lynch. It was an amazing class on many levels but I would like to emphasize the human approach that the governor shared with the class. After reflecting on the learnings from that class I realized that every MBA graduate should tackle the real business world not just with talent and outstanding financial results, but we should also shine in that environment for being leaders that make our teams achieve the best version of themselves. I consider this to be even more valuable because it can be applied not only to our professional lives, but also to our own personal lives in so many ways. One of my favorite courses in Tuck’s core curriculum is Marketing with Professor Kyung. Her ability to bring students’ previous work experiences into the classroom is very impressive. She is extremely intentional in her “cold calling,” knowing who can best add color and real world insights to the topic being covered. Outside of class, she is just as invested in her students. When I competed in a case competition, our team highly benefited from her feedback on our survey design and her help in survey distribution. Her thoughtfulness and investment in our success was evident. Platforms, taught by Professor Geoffrey Parker, was one of my favorite courses at Tuck. It’s one of a handful taught between Thayer School of Engineering and Tuck. We studied everything from contemporary cases such as Uber or Facebook, historical examples with SAP and Quickbooks, and startups from our very own Thayer and Tuck students. What’s unique about this course is not just the content but the rich discussion only possible due to the mix of diverse perspectives from Engineering and MBA students. Personally, it was a great class to help me prepare for the decisions that have to be made as a Product Manager in the tech industry. It also certainly helps that Professor Parker’s energy is infectious and makes the class engaging through lively case discussions and hosting in-class speakers!